Coachella 2016, the music-founded glamfest just a few years older than my youngest daughter, is in final countdown. And my husband, my song-writing partner in music luv (it's how we met) and I are going. We will comprise a snippet of the concert-going population whose ages will start at the average attendee age x 2, but we'll do so with bells on. And sunblock. Our daughter, youngest of 3, is a music loving tween. She introduces her dad and me to downloads and dance moves that 1) point out vast seas of difference between the generations, but also 2) spans them with the best of bridges. My sons, adults, each individually went through their discovery of older music genres and recording stars. It's a joyous little experience when they unearth music I grew up with. I went through my time-warp discovery too, in my own generational context. This included but was not limited to classic film soundtracks and mellow crooners to, say, Jethro Tull. Two nights ago we did, in fact, pay homage to Ian Anderson at the performance of his band's namesake rock opera, something I have known he planned for years to write. A perfect swansong collection, classic hits were embedded into the show. The audience was on its feet for "Aqualung" in every bit the same way audiences rise and stand for Handel's "Halleluja Chorus." Select music I own on vinyl, cassette, (never ever an 8-track - can you imagine?) disc and via download, the truest indicator of ongoing fanship over the years. A key element of the generation of music lovers to which I belong is technology - it's our horse n buggy vs automobile story, isn't it? Among the tech crossover elite are the Alan Parsons Projects, King Crimson, ELP (heartfelt and head bowed to the late great Keith Emerson), Sting, and most especially Tull. My husband and I, having started to orient our travel around music, will pack up at week's end and head to the California desert. It amuses and makes us smile to know that at an event of this mega-hipness, it's a throwback band, Guns n Roses, that is headlining. While the younglings are listening into this rather immediate past, I hope they reach back even farther in time, say back to Ian Anderson and his Tull companions. Anderson ranks among the gods of renaissance rock troubadours. His bohemian frills and pre-grunge plaids are still awe-inspiring, as is his music. Or take Barbra Streisand's to-die-for Star is Born persona - I still want what was in her closet back then, what she modeled onscreen and set as top notch bar for the 70s Boholuv generation. In short, I am old school bohemian dresser. To call it "original" boho is a misnomer, as the original bohemians were a location-based segment of society in history. But I am a charter Free People consumer who still has some of their very first print thermals in my dresser drawers. I am dismayed over the targeting of their Festival line, as has made the news in tandem with pre-Coachella publicity. Newsflash: fashion is fickle, but only because it reflects our malleable society. Lines are quickly and inconsistently crossed from both directions. 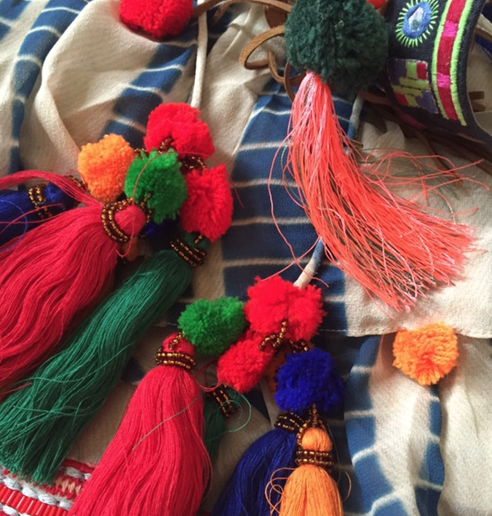 Flattery in the form of imitative inspiration enters all too quickly the realm of offensiveness when blanket ownership assumptions (contested beads and feathers) are made against it - especially when it involves big bucks. The collateral effect is - guess what? - free publicity. If you don't like it, don't buy it; don't wear it. That is how choice/support works in a free market. Moreover, Free People's current, maligned collection is neither new nor unique from a design standpoint - and relative to full spectrum pricing, is not that expensive, as is also lamented. Valentino's divine Spring/Summer 2016 and the gorgeous stuff DSquared2 comes up with time and again borrow heavily from cultures over time and place - and imo with amazingly edgy, beautiful results, at pricepoints 10, even 100x that of FP. Second news flash: Nothing is new. Everything is borrowed from other, pre-existing sources - it's about context (esp in time) and intent as planned and/or perceived. As fashion purports to move forward, it does so like a slinky. Supposed "must haves" coil up and back around again as style cycles appear over and over again. To copy, to imitate is part of design. Take the camouflage pants this peace-mongering, art-loving mom so loves: My first pair was army surplus, men's (as at the time there was no such thing as a straight cut, low-waisted woman's pant), bought while in college. I have worn camouflage ever since and am always happy when they are re-deemed "in". Ditto as regards my ever-lovin' overalls, be it my 2015 patched and distressed Ralph Laurens or the decades+ wide-whale cords (again, menswear, for the cleaner lines). That proverbial "bury me in..." line would pertain to my overalls. Offensiveness in fashion is as relative as is personal platform and the time one chooses to devote to its advocacy. If Free People's Festival collection is subject to attack, then should not my camo pants or overalls be just as questioned for their relevance - or lack thereof - to me as pseudo/non-connected consumer? What about the flip term mentioned above? "Peasant" as used in the 70s for much of what was/is boho, sounded rather chock full of disenfranchisement and disdain potential, no? And what about the way cool, wire-wrapped "tribal horn" style earrings I, a pasty-faced (aka "white") Euro-Ami gal just nabbed on Etsy? Do I not have a right to buy and wear them and support a hard-working craftsperson? I believe I/we do. 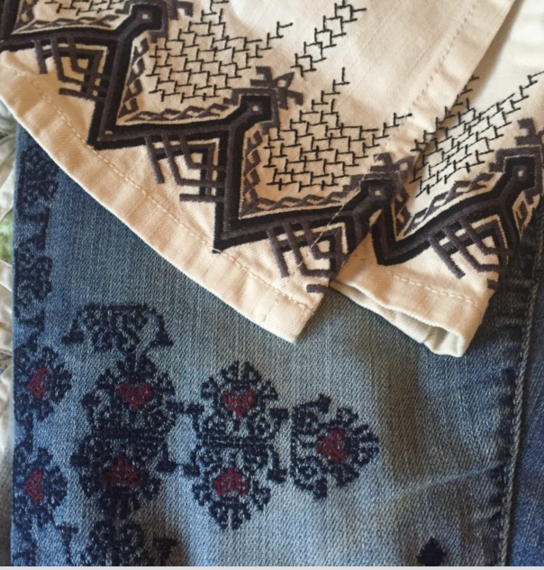 Fringe, embroidered embellishments, so-called ethnic details and loose, flowy garments are stock elements in my wardrobe. I cannot tell you how fun this will be, to immerse myself in a multi-generational catwalk the width of a football field. But I will do it age appropriately: Just 'cause one can, doesn't mean one should. That smacks of what I call TTH - Trying Too Hard. Cool as in temperature suitable + the making of a style statement I can write home about will combine with wisdom, which = practical comfort. Shoes/boots will be for walking. I cringe when I observe women hobbling at night's end, or worse yet, see them carrying their shoes, full length dresses dragging on the asphalt. Layers, a Boholuv imperative, will be light in weight but heavy on the creative. Excessively exposed skin will be left to others. Though I might indulge in a tassel or a pom-pom or two, and I am a casual fan of those the Weissmuller/Tarzan films, me no dress like jungle-version Jane in a mini skirt made of leaves. 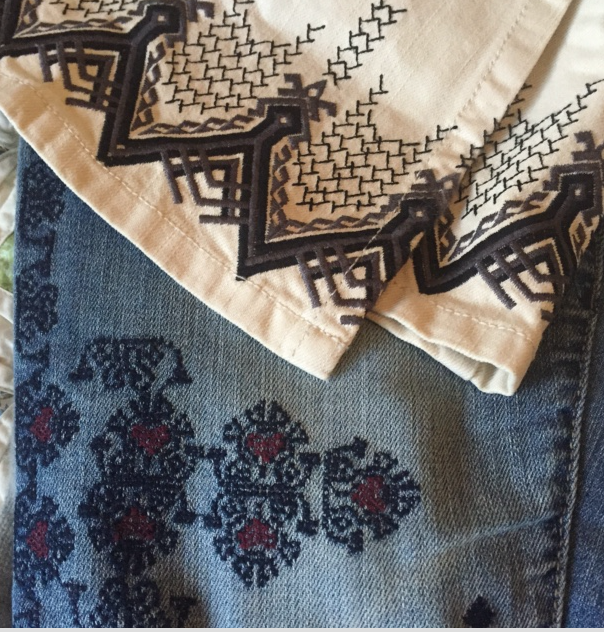 Fun will be in the details: delicate ankle chains barely peeking out from harem pant hems, necklaces of leather strands and shell beads, wrap bracelets and straw hats. The crochet and fringe that's been in my closet for years come right back into their own with this pilgrimage. Makes those earlier purchases even more cost effective - I am a believer in selective closet cleanouts, as what one year is dated, is the next season's curated darling. You can follow my Coachella 2016 picture book on my Instagram account, @ModLodgeLuv where I will share new finds and old standbys as they are packed and made ready to go, as well as event pics. Fashion fun and Boholuv are for me, for us, whose connectivity to "millennial" is perhaps only as parent, who have embraced for decades what is happily again so very "now," who know well enough not to take much of it too seriously, but still want to join in some serious fun.